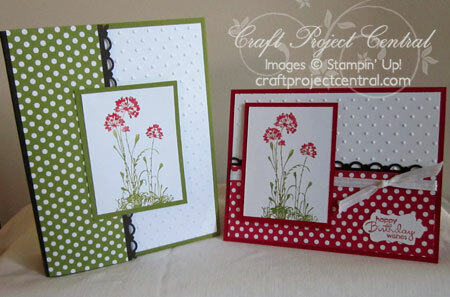 Make this pretty little portfolio and four coordinating cards! Each card comes in a different color but you can make each card design with one color if you choose. Stamp the envelopes to match and keep the set for yourself or give it away as a gift. Better yet, make several sets and be sure to keep one for yourself! This pretty set was made by Kris McIntosh, and you can get the details for her tutorial over at Craft Project Central. This Friday's Boutique Box Beauty! New Year, New Calendar for Friday's Class!